I cannot believe it’s that time of week again where we get to share what work we have done in the last week! This last week has gone so fast! The majority of my stitching was done over the weekend as I booked it off work as I went to a gig on the Friday night. Saturday day was spent designing & practicing stitching my own design. Something I haven’t done before. 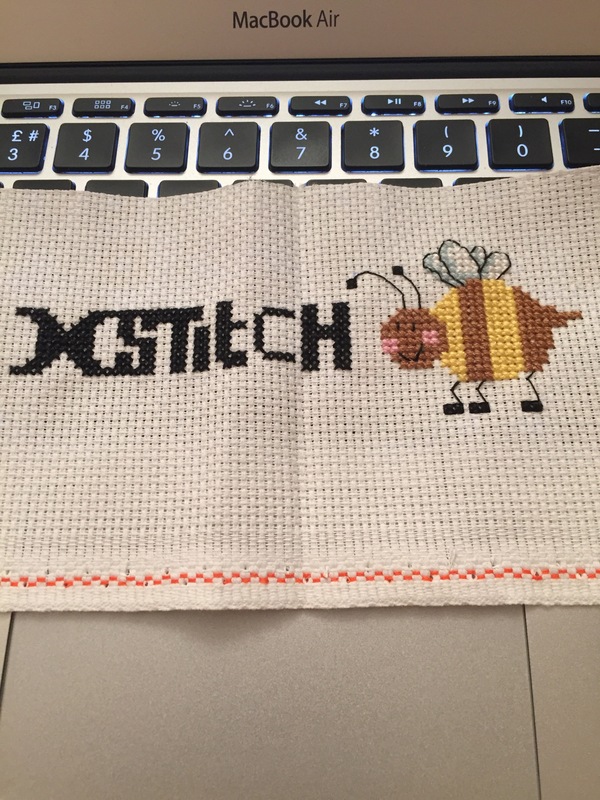 I thought it would be a good idea to try & stitch my blog name with a bumble bee as i stumbled across a small bee when I was browsing my cross stitch magazines. Below is my first attempt, it certainly won’t be my last. I tried using graph paper to draw out the ‘stitch’. I then lost my patience & just started stitching. What do you think? It’s starting to take shape which is definitely spurring me on! For those of you that are interested…I found this chart in Cross Stitch Crazy- Issue 202. Part of what i enjoy the most about stitching a big project is the organisation that goes into it. I am the queen of tins!! 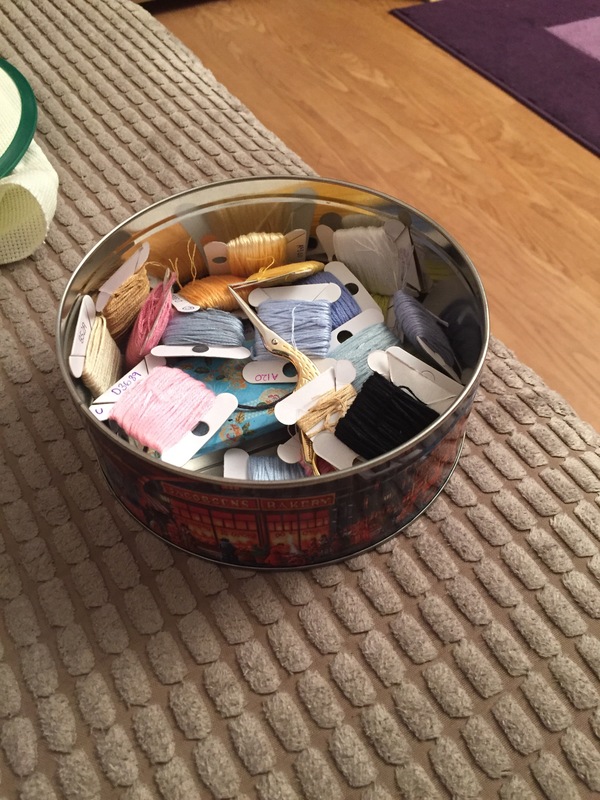 I use different types of tins to gather the threads on bobbins I need for each project. How do you store your threads while working on a project? Again, feel free to share links to your pages below so we can see what you are working on! < #21 Well if you insist! Oh, and also I love your header! 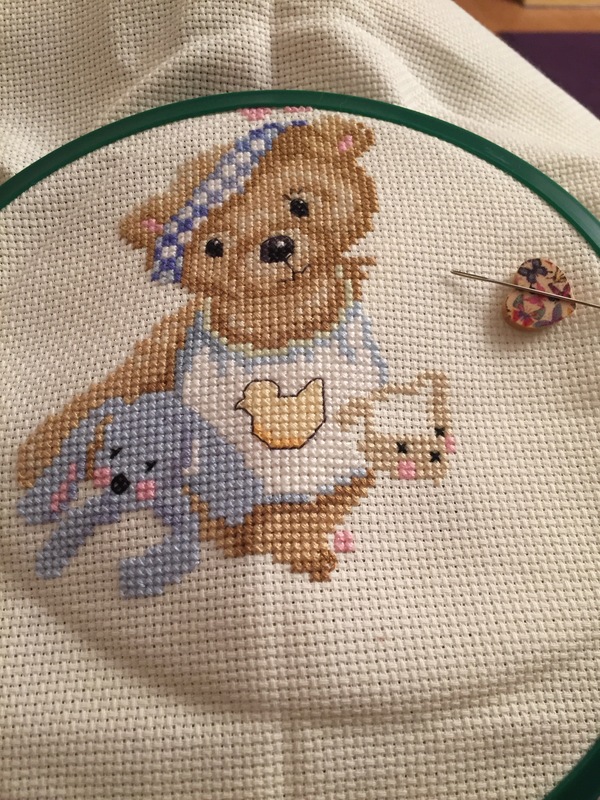 You should give the free trial of MacStitch a whirl if you’re up to designing your own pattern. You can’t save in the demo but you can totally screen shot it, which is kind of the same thing! Ah thanks for the tips 🙂 I don’t think I’ll ever part with my project tins! Anything Shiny & I’m there! Maybe I’ll need to look into the thread ring though, that sounds fun! 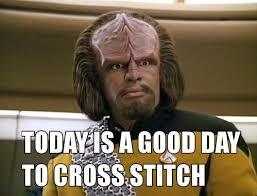 Hahaha, I love Worf. What a pleasant surprise at the end of your post. Depending on the project I’m working on, I tend to store my threads in the same project bag as the rest of the materials. So I can grab it & go in a hurry. For really big projects, like the one I’m doing with over 50 thread colours, I treat myself to a new DMC thread case so the colours are organized. I know some people who keep medium sized projects on a ring. I may try that next time I have several colours on the go!